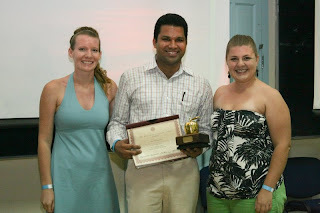 It is a pleasure to inform you that, Dr Banga got two Awards for excellence in teaching at SGU. 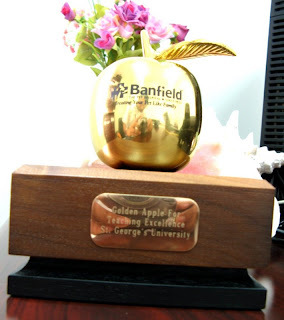 These Awards are Banfield Golden Apple Award for Teaching Excellence and Carl Norden - Pfizer Distinguished Teaching Award. These awards are given by voting by all vet students. 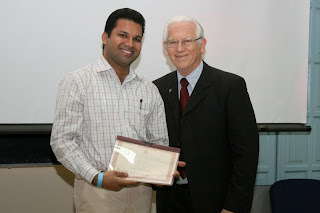 Earlier Dr Banga has got several awards for his research work. It is first time any Indian has got these awards here and also it is first time any teacher has got these two awards at same time. 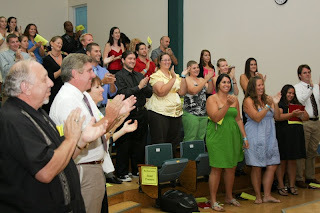 Some photos from Award Ceremony held last week are posted here. Looking forward for your continued wishes, blessings and cooperation. Dr Banga's Websites, - for veterinary professionals and pet lovers. About: The Carl J. Norden-Pfizer Distinguished Teacher Award is presented annually to a faculty member at each college or school of veterinary medicine in the United States. It is the most prestigious teaching award in Veterinary Medicine. The award is named in honor of Carl J. Norden, founder of Norden Laboratories. Since 1963, the award has been sponsored by Pfizer Animal Health. The company donates more than $1.5 million each year to veterinary colleges in the form of scholarships, research grants and products as part of its commitment to the future of veterinary profession and educational mission of veterinary colleges. Award nominees are selected by their individual colleges, while a selection committee at the AAVMC chooses the national honoree. The Association of American Veterinary Medical Colleges (AAVMC) coordinates the national and international affairs of all veterinary medical colleges in the United States and Canada, nine departments of veterinary science, seven departments of comparative medicine, three veterinary medical education institutions, and seven international colleges of veterinary medicine. AAVMC fosters the teaching, research and service activities of our members, both nationally and internationally. The Associations’ mission is to improve the quality of life for people and animals by advancing veterinary medical education, improving animal health and welfare, strengthening biomedical research, promoting food safety and food security, and enhancing environmental quality. Congratulations!! !I am so proud of your sucess. Wish u all the good luck!!!!!!!! This looks like an awesome place to begin your academic program! The True Blue Campus at St. Georges University.